A Natural Approach to Balance! As women and men approach mid-life many wonder if hormone therapy is the right option for them. Having balanced hormone levels like we had in our youth can help turn back the clock on the aging process, helping to prevent some age related illnesses and ease the symptoms of menopause in women and andropause in men. Bioidentical Hormones are a natural approach to Hormone balance without the risks associated with synthetic hormone replacement. Bioidentical Hormones are derived from naturally occurring sources, such as yams and soy, that are designed to replicate the same chemical structure as hormones produced naturally in our bodies. 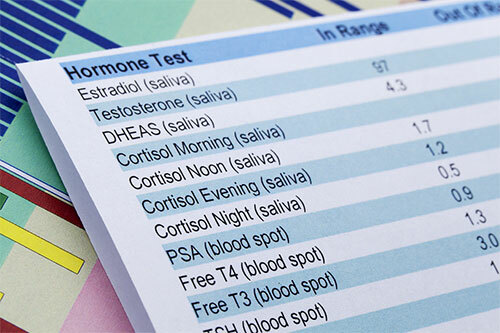 Based on hormone levels, found during specialized testing, a individually tailored hormone regimen is created for you. Bioidentical Hormones are available in standardized tablets, patches or compounded creams, gels and injectable prescriptions.